This free, online course is aimed at anyone interested in learning about the runtime environment for SAP systems that are based on SAP NetWeaver. After completing this course, you’ll understand the technical background of the Application Server ABAP (AS ABAP), which is the foundation of all ABAP applications. The course is aimed at anyone interested in learning about the runtime environment for SAP systems that are based on SAP NetWeaver. After completing this course, you’ll understand the technical background of the Application Server ABAP (AS ABAP), which is the foundation of all ABAP applications. The task of the client/server technology components in SAP is to provide a reusable runtime environment for other components that use client/server technology as the basis on which to process requests. The focus is on optimizing operating system resources (CPU, memory, etc.) in terms of performance, scalability, and robustness. In this course, you’ll learn about the main components of client/server technology in SAP: SAP Start Service, dispatcher, enqueue management, memory management, gateway, ICM and SAP Web Dispatcher. You’ll also learn how to use the latest tools and features to monitor these services. The course will be based on the SAP NetWeaver 7.4 release. You should have a fundamental understanding of SAP NetWeaver, operating systems, and databases, and a desire to learn more. Ádám Csaba Götz is a platinum support engineer at SAP Product Support, and has been working at SAP since 2005. During this time, he has acquired experience in many SAP NetWeaver core areas, like installation, databases, operating systems, kernel components, and more. 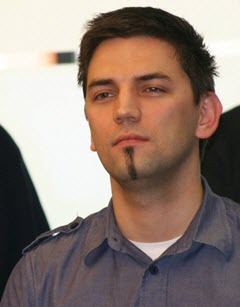 In 2011, Ádám became an SAP certified technology associate. He also contributes to the Client-Server Technology Wiki and the SAP Community. This course was held from Sep 12, 2017 through Oct 11, 2017. This course was rated with 4.31 stars in average from 1248 votes. Mercedes Fernández is a support architect in the SAP NetWeaver area of SAP Product Support. She has worked as a support engineer in the SAP Product Support organization for different areas of SAP NetWeaver since 2001, and became a development support contact in the area of client-server technology. Mercedes is also a contributor to the Client-Server Technology - BC-CST WIKI and has written several Knowledge Base articles in this area. Isaías Freitas is a senior support engineer at SAP Product Support, and has been working with SAP NetWeaver kernel components since 2010. Before joining SAP, he was a server and network administrator. He is also a contributor to the Client-Server Technology Wiki and the SAP Community.